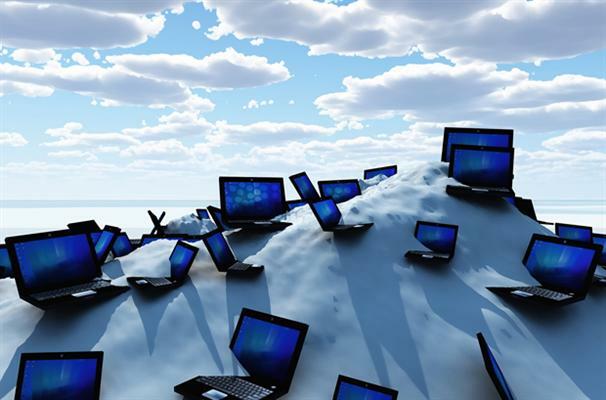 A convergence of cloud computing trends will create new business models for Australian businesses in 2012, according to analyst firm Frost & Sullivan. The firm has three converging predictions for the year ahead: cloud computing will finally become mainstream; the rise in cloud services will drive mobile computing; and the pervasive nature of social networking plus the need to manage online reputations will see social media widely integrated into business activities. These three trends will combine to force an inversion of the traditional model of IT in business. Usually, IT simply responds to business needs, providing the tools that the business needs to achieve its goals. But in 2012, ICT developments will drive business process change and, in some instances, create new business models. Read More to find out how Cloud Computing will create new business models in 2012. There's been a lot of talk about "the cloud" when it comes to technology and IT in the past few years. It's a revolution as big as the advent of the microprocessor and just as relevant as the desktop computer. The cloud is quickly changing businesses as we know them, forcing them to reboot how they think about their consumers in this ever-connected world. We're not just talking about everything from owning data centres to your accounting software to your email server, but the products and services that are being sold. If the cloud isn't on your business's mind, rest assured that it should be, and that it will (once again) change everything. Cloud computing is assumed to be an IT staff initiative at most businesses. But business strategists at IBM have concluded that it needs to be a top management priority. Too many companies are experimenting lightly with cloud computing. They're using it to tweak existing operations, as opposed to thinking about how it could revise or re-invent the fundamental way they sell their goods and services, said Saul Berman, global strategy consulting leader in IBM's global technology services. It feels a little blasphemous to type this while Cloud Connect, the cloud industry’s premier conference, takes place just 30 miles away. But sometimes when you see a balloon rising from all of the hot air filling it, you gotta take aim with the BB gun and pop it. As most of you know, multitenancy is the term describing when a single instance of software serves dozens or hundreds of users/customers at the same time. Anyone can see how much more efficient this is versus the old server hosting model, where the ratio of server:customer is 1:1. Even using today’s Red Hat-type virtualization, each server can cram fewer users/customers onto itself than a true multitenant service. We hope these short sum-ups on Cloud Computing in 2012 helped you to take a knowledgeable approach towards moving to the cloud. Stay tuned for more sum-ups on in the forthcoming year. Thanks for sharing the information on cloud computing. ODCA is a customer-focused organization defining requirements to speed delivery of cloud computing benefits worldwide.